Members of Bolingbrook’s Islamic community claim that their prophet Muhammad descended from Heaven to denounce the attack against the French Newspaper Charlie Hebdo. 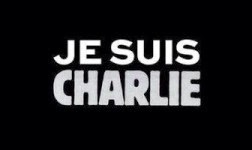 The attack killed 12 people, most were staff members of Charlie Hebdo. The eyewitnesses agree that they saw Muhammad descend from Heaven on a winged horse, and land near Masjid Al-Islam in Bolingbrook. Muhammad told his followers to finish their prayers, and then he would deliver a statement. Instead ordering more bloodshed, Muhammad reminded his followers that Islam is a religion of peace. When asked to prove his identity, Muhammad delivered a prophecy. In March, he predicted, a Bolingbrook village trustee will defy Mayor Roger Claar during a board meeting. Muhammad then ascended into Heaven.